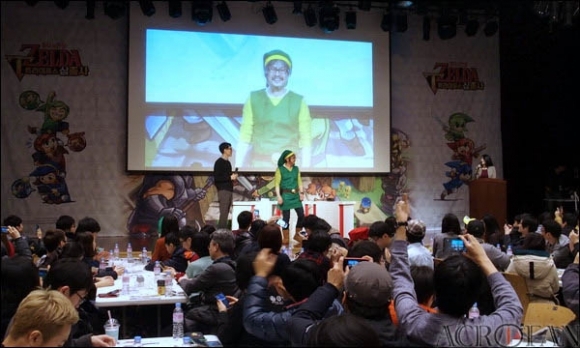 On January 30, Korea Nintendo held ‘The Legend of Zelda: Triforce Heroes multi-play event with Aonuma Eiji producer’ at Culture hall of Lotte Dept. store(Yeongdeungpo) in Yeongdeungpo-gu, Seoul. 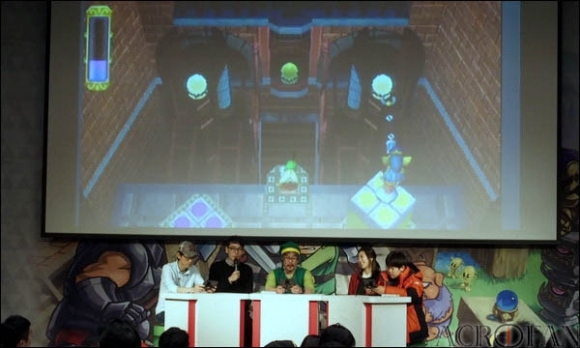 At the event, Aonuma introduced features of the game, answered users’ questions, and played the game to show play style to users. 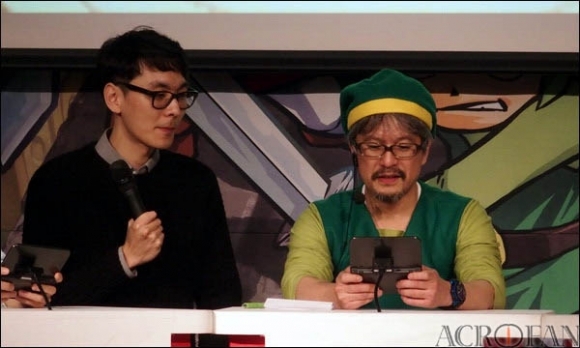 Also, when users were experiencing various stages of ‘The Legend of Zelda: Triforce Heroes,’ Aonuma, in a costume of the main character Link, played with some of them. 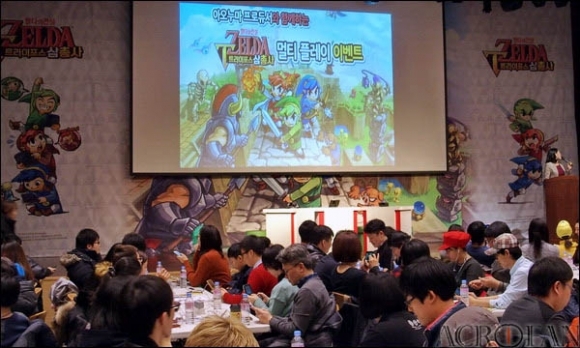 ▲ The Legend of Zelda: Triforce Heroes multi-play event is held. 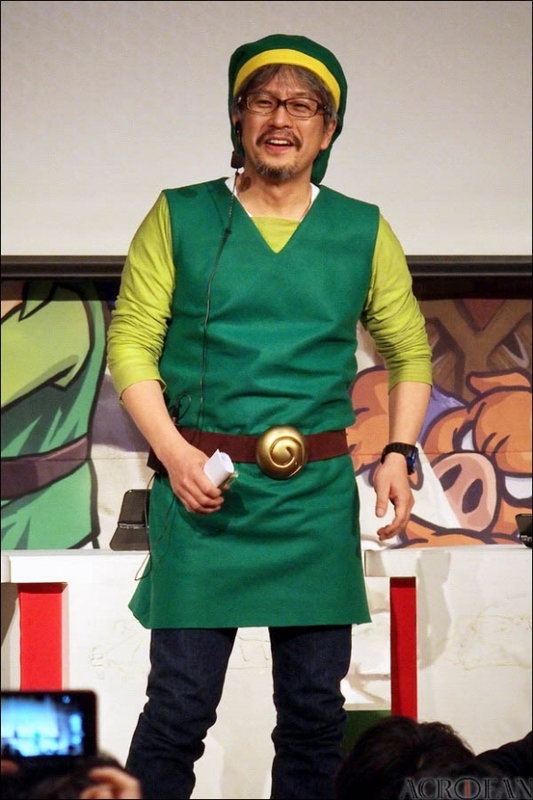 ▲ Aonuma appeared in a costume of the main character Link at the event. 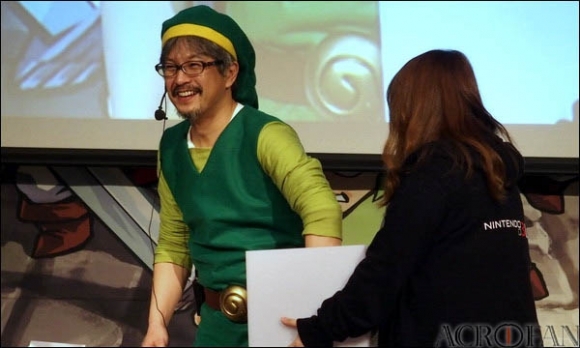 ▲ Users kept pressing camera shutters to take Aonuma in Link’s costume. ▲ They decided which user will be played with by voting. 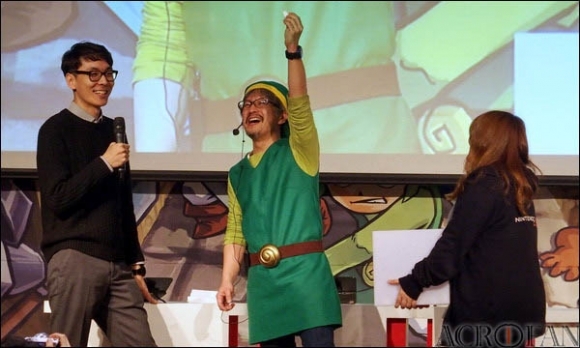 ▲ Aonuma followed Link’s behavior even when taking out a paper. 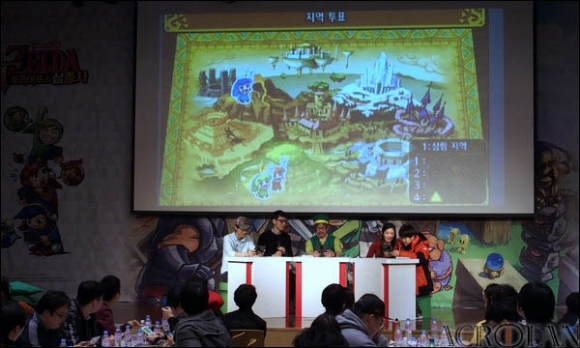 ▲ Users chose stages to play by themselves. 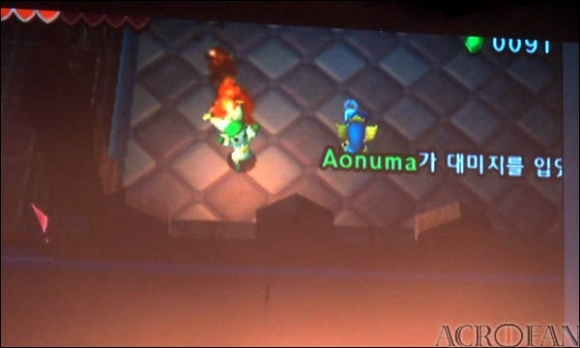 ▲ Aonuma played the game and introduced its characteristics at the same time. ▲ The opportunities to play various stages are provided. ▲ As the game is in multi-play style, it focused on the cooperation among users.